Sage Neuroscience Center is a facility that only specializes in outpatient services, as no residential treatment programs have been established to assist in the treatment of the patient’s mental health disorders or their addictions. 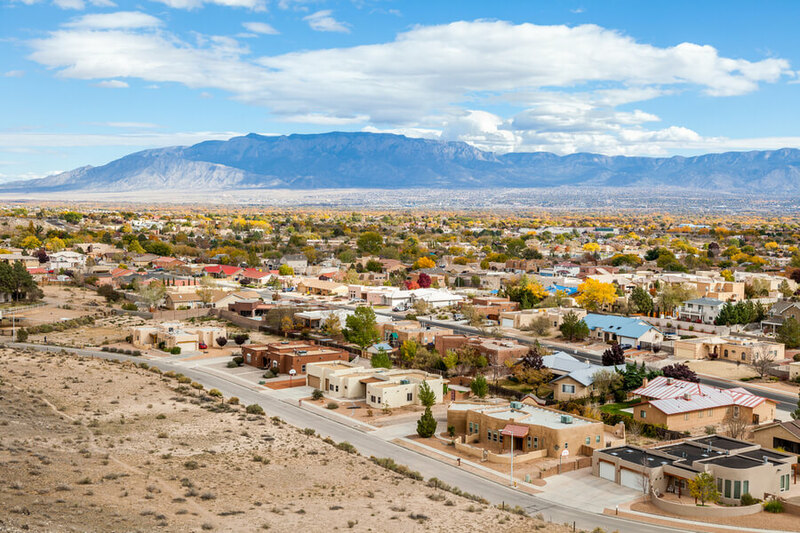 The facility is located in Albuquerque, New Mexico, and has implemented a number of treatment services that patients can utilize to assist in their recovery and to help them heal the scars and addictions or mental health problems have left on their lives. The facility is able to help the patient get off drugs and recover, and will provide them with further aftercare services once the patient has completed the main treatment program offered to them. Meetings are relatively long, as sessions focus on helping the patient recover through a range of effective treatment options that the facility has developed. No housing programs are offered to patients who need to be treated at the Sage Neuroscience Center. The programs that the center offers the patients who come to them for help with their disorders and conditions are all outpatient solutions, which means all patients will need to reside at their own preferred “home.” The patient will then meet up with a counselor at the facility during specific times that will be provided to them once an individualized program has been developed for the specific patient. Sage Neuroscience Center offers a large range of psychiatric services to patients that can assist in the treatment of various conditions. The company does seem to focus on providing addiction recovery services, but they can also be utilized to assist in the recovery of depression, family-related matters, and other mental issues. Patients will be assessed when they first come to the center for treatment. An individualized program will then be compiled that include all the services the specific patient may require to recover from their conditions effectively. There are various therapies that patients are presented with when they decide that they would like to trust the Sage Neuroscience Center with their recovery. Patients will become part of several group therapy programs to provide them support throughout their journey. One-on-one counseling sessions are also provided to the patient. The facility also has a range of therapy options for families and couples available. Sage Neuroscience Center is contracted with a limited number of insurance providers, including a few federally-funded programs, to help patients undergo treatment without having to pay out-of-pocket fees. Patients first need to verify that their insurance provider is accepted at the center before they can be treated. Self-pay options are available for patients who are not insured or patients covered by an insurance provider who is not contracted with the company. We were unable to determine if the Sage Neuroscience Center has been accredited by any associations such as CARF or the International Joint Commission. Furthermore, there are no details provided in terms of whether or not the company has obtained a licensed from the Department of Health in the local state that it operates in. Even though Sage Neuroscience Center does not offer any type of residential care programs to their patients, but rather only a range of outpatient treatment services, there are a couple of amenities that patients should know about. In particular, the fact that the facility has a dedicated department that focuses on medication management is certainly an added benefit that should be considered, as a large number of addiction treatment facilities fail to provide such services. Sage Neuroscience Center provides extensive data on their services, as well as their staff members on their website. The information is provided to ensure that patients have access to the information they need to verify the credentials of the treatment team that is providing services such as counseling and medication management at the center. Patients often feel more comfortable contacting a facility like the Sage Neuroscience Center when they know that the staff involved at such a company are highly trained and experienced in dealing with patients who are going through addictions. Gary Borrell is a Board Certified Psychiatrist and a graduate from the University of Oklahoma School of Medicine. He also obtained a degree from the University of Oklahoma Department of Psychiatry and Behavioral Sciences. Gary specializes in the treatment of substance dependence and chronic mental health illnesses. Marie Mugavin obtained her Master in Science of Nursing degree from the University of New Mexico. She also holds a Forensic Doctorate. Marie has been certified as a Sexual Assault Forensic Examiner. She specializes in primary care, trauma, self-empowerment, mindfulness, brain science, and pharmacology. Tina Carlson is a graduate from the University of Colorado, as well as the University of New Mexico. She specializes in a wide range of professional interests, including mood disorders, anxiety disorders, trauma, women’s mental health, and developmental disabilities. Tina is also experienced in dealing with patients who are struggling with substance abuse issues. Lynne McWilliams holds a Bachelor of Nursing degree, which she received from the University of New Mexico School of Nursing. She also has a Master of Nursing Science degree. She primarily specializes in the treatment of children and adolescents.